O’Brien Interiors are proud to use Metsec galvanised steel framing structures – a versatile solution to many of your construction needs. Metsec materials have built a reputation for quality and excellence – making their steel framing a sensible choice for us to use in the projects we work on. 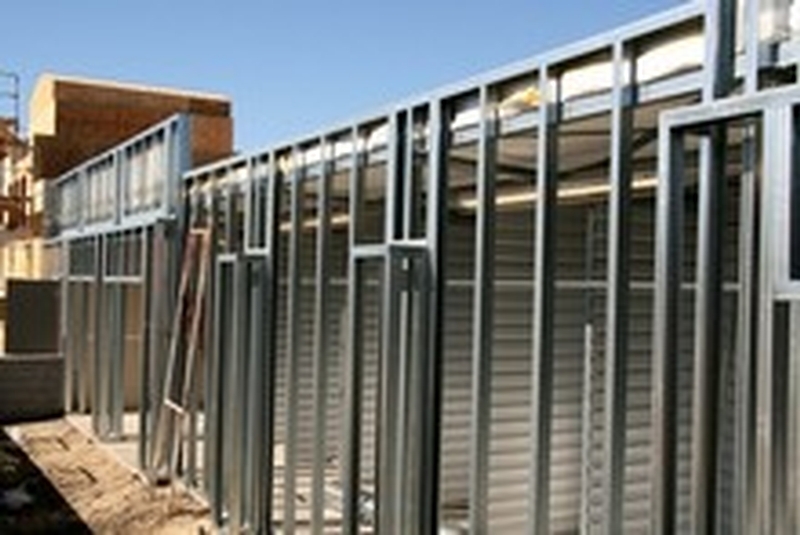 This SFS (steel framing system) is useful on larger commercial projects, but can also be used in residential projects. Using this steel framing system is cost effective for the client especially as labour costs are reduced and maintenance required is minimal. Steel framing is ideal for internal and external non-load bearing partitions and is a great alternative to timber and concrete. The main advantage of steel framing is its life span – again, making it an economical choice for projects, especially in public sector contracts where cost saving is paramount. If you would like any advice on how steel framing could benefit your project, please get in touch with a member of the team.